We are pleased to announce that Rob Lomas has joined Burghwallis Parish Council. Originally from Halifax, Rob has lived in Skellow since 1981, and is retired from a career in textile manufacturing. 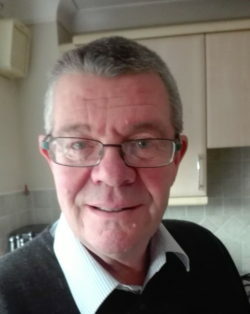 He is well known to many in the village through his work with the local branch of the Royal British Legion since 1993, during which time he has been treasurer, a caseworker and is now the branch welfare officer, as well as taking an active role in the annual Poppy Appeal. We hope that Rob’s period as a councillor will be a long, productive and happy experience for all.